1 yd Min Sale: US$ 8.76 - 20% Off! 1 yd Min Sale: US$ 9.00 - 20% Off! 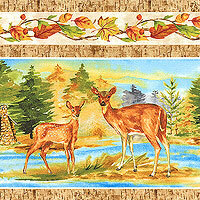 1 yd Min Sale: US$ 8.60 - 20% Off! "I think of eQuilter as friends, they have always responded on a more personal tone. Their choices in fabric are almost endless and beautiful when you see them in person. Getting a..."
"I just received my order of fabrics and I am delighted with the quality. The colors are so very close to the ones shown on the screen. Thank you for the confirmation and attention..."
"Thanks for another GREAT newsletter. I love your aol link...it makes everything so nice and simple. Without a doubt you have the best newsletter !!!!" "Love this site and the people who run it are amazing. Nothing is too much trouble for them they answer emails promptly send out parcels asap don't overcharge for postage and have great..."